The Jackson County Tourism Development Authority has been named the Tourism Office of the Year by the Southeast Tourism Society at the Shining Example Award Ceremony. This award is one of a dozen Shining Example Awards presented at STS’s annual Connections conference in Daytona Beach, Fla. 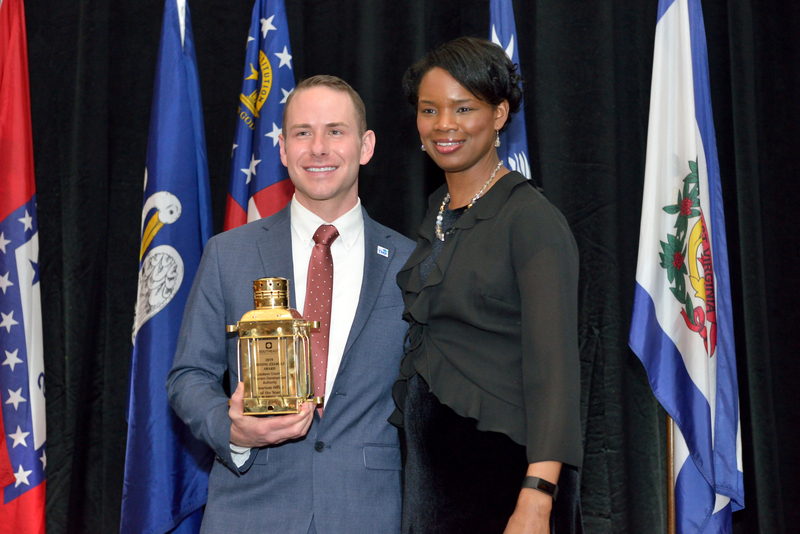 In addition to the Shining Example Award, STS recently announced that the Jackson County TDA’s Executive Director Nick Breedlove was selected to join its Board of Directors and is one of two people from the state of N.C. to be selected. In addition to serving as a Board Member, Breedlove will also serve on the board’s Education Committee. “We are thrilled and honored to have been selected for this award and I can’t wait to get started with the STS Board of Directors,” said Breedlove. “Everyone involved at the TDA is extremely passionate about the tourism industry and about Jackson County. We love being able to share this area with visitors from around the country and are overjoyed that STS has recognized our hard work with this award. Additionally, I look forward to contributing to the great work STS is doing while serving on the board.” Jackson County was selected for the award from among a twelve-state region for tourism budgets under $2 million. Jackson County, located in the scenic Western N.C. mountains, is made up of the charming towns of Cashiers, Cherokee, Sylva and Dillsboro. Established in 2013 and made up of just one full-time employee and an extremely supportive board, the JCTDA has worked to implement several new programs and initiatives geared towards showcasing all that the area has to offer and driving tourism. Despite its short history and small size, the JCTDA’s results are expansive and impactful. Visitor spending within the county has increased by a total of $20 million in two years. During 2017 alone, Jackson County experienced an increase in visitor spending of 3.85 percent from the previous year, and these numbers continue to increase each year. Headquartered in Roswell, Georgia, STS is an association that works to unite all segments of the travel and tourism industry through its four pillars of education, advocacy, recognition, and networking. Established in 1983, STS is an engaged network of 1000+ members from twelve states: Alabama, Arkansas, Florida, Georgia, Kentucky, Louisiana, Mississippi, North Carolina, South Carolina, Tennessee, Virginia, and West Virginia. For more information, visit SoutheastTourism.org.